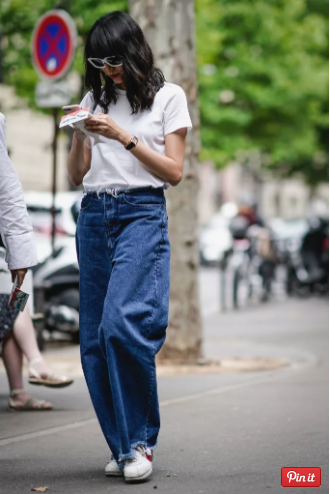 Wide leg jeans are all the rage in the streets of Paris and are the perfect chic staple to transition to Spring. There’s nothing more French than wearing a biker-style, leather jacket over relaxed jeans. 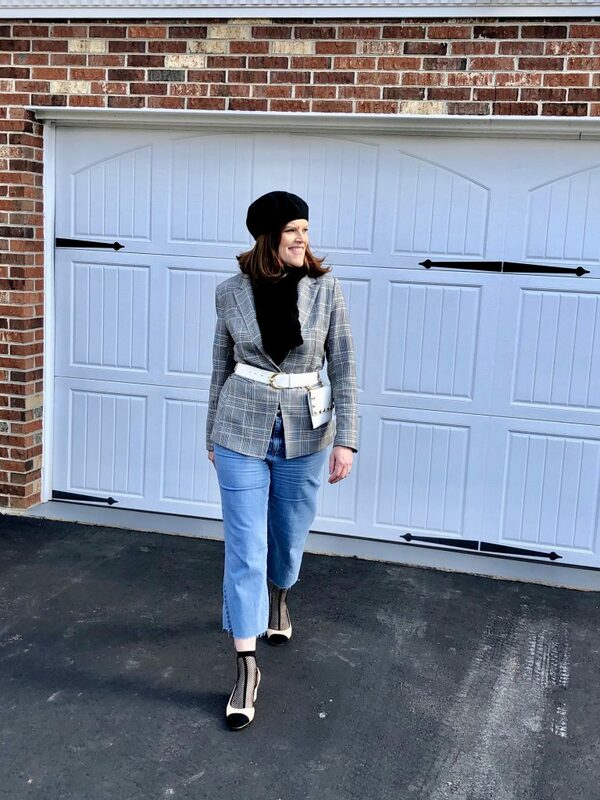 In this outfit, I wear a Karl Lagerfeld sweater (this was the day after his passing) but you can also wear a Breton top to get that instant French girl look! Complete the outfit with a hat – Beret or Baker Boy hat – and hiker boots. 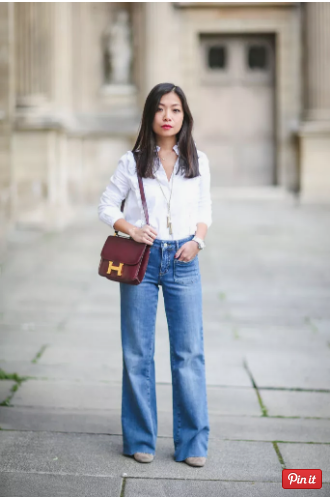 Here’s an effortless way to wear wide leg jeans to the office, if denim jeans are allowed. 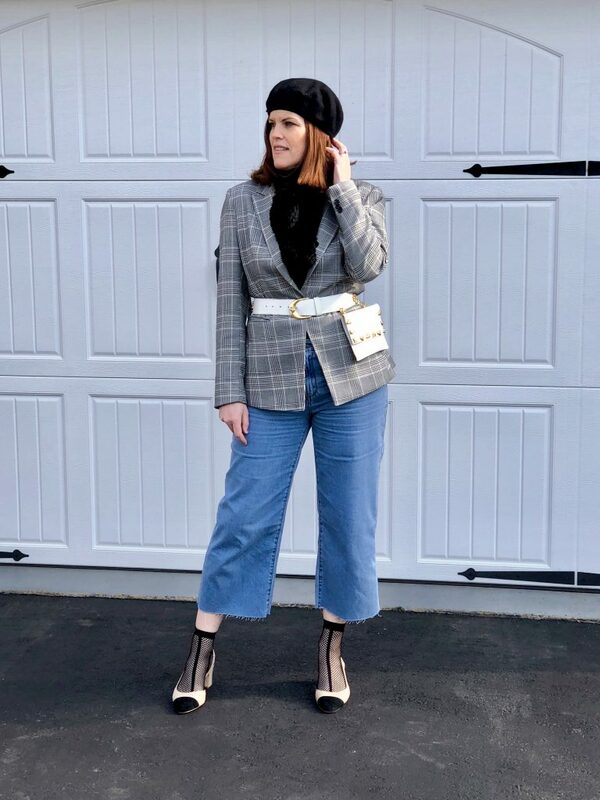 Layer on a fitted blazer and style it with a belt or fanny pack to create a more structured look. This fanny pack was actually my mom’s during the 80’s. Love that it’s still in style! Sometimes, we just want to take it easy on the weekend and not have to think about what to wear. 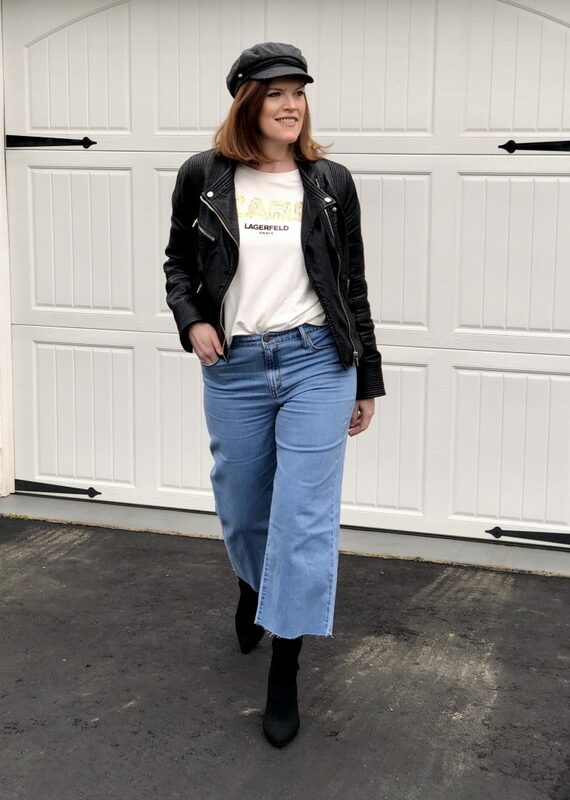 When you want to roll out of bed and head out the door fast, reach for a pair of wide leg jeans, which are so stylish and super comfortable and pair it with a basic white t-shirt. Add chic accessories — like sunglasses, and white sneakers – and voilà! The essential white button-down shirt is a stylish match for wide leg jeans, and if you want to get dressed quickly on the weekend. You can also wear this look for casual Fridays at the office. Invest in a quality leather bag to carry when you wear simpler outfits, to upgrade your style. What about you? 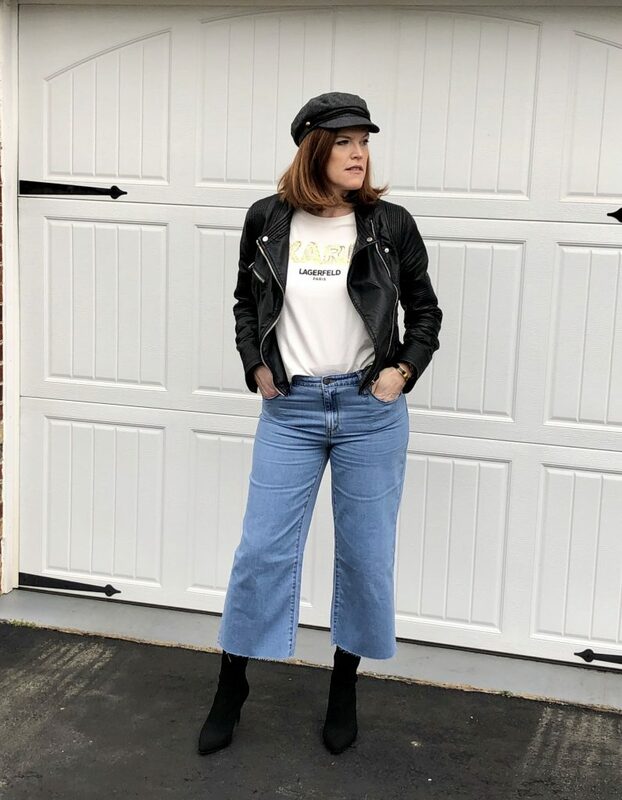 Are you embracing the wide leg jeans trend this Spring? Previous Post Saturday Afternoon Tea at Four Seasons Washington D.C.
Oh these are so chic! I love the anklets with the jeans!